Lion Dance at 88Supermarket on Janurary 28th, 2017 to celebrate Lunar New Year! 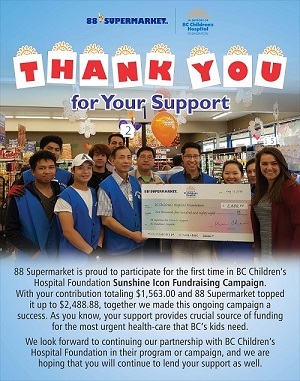 88Supermarket is proud to participate for the 1st time in BC Children's Hospital Foundation Sunshine Icon Fundraising Campaign. Canada Day B.B.Q has become a annual tradition at 88Supermarket where we appreciate our loyal customers as well as celebrate our wonderful country Canada. 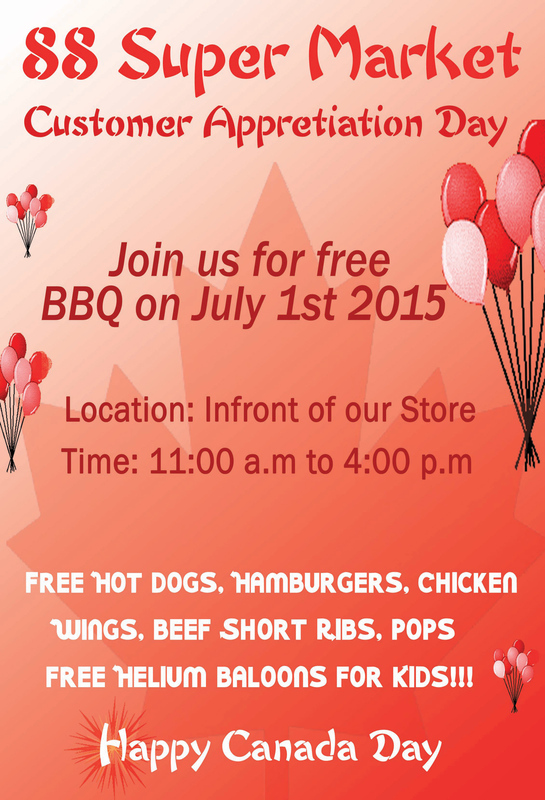 We cook and serve free hot dogs, hamburgers, B.B.Q chicken wings, beef short ribs and cold drinks. We are proud to announce that it has been a very popular event among the community and is continue to draw large number of people.